The effects of climate change can be felt all around the world by the increase of heatwaves, floods and droughts, glacial melting and rising sea-levels. An estimated nine million deaths worldwide are related to pollution every year. Air pollution is by far the largest contributor to early death according to a report by The Lancet Commission on Pollution and Health. The scientific data, as well as the growing number of people affected, demonstrate the fact that the climate crisis is a concern to all. Nevertheless, the current measures which are being taken by the international community are not sufficient to reach the goals set out in the Paris Agreement, which is not merely an environmental treaty, but offers the basis for a new and inclusive model of sustainable development. Consequently, we need more climate action, collaboration and faster implementation to preserve biodiversity, ensure health, global food supply, and enable a better future for humanity. Arnold Schwarzenegger's long-term commitment to climate protection has spanned over 15 years and despite the barriers created by political circles, he continues to pursue his aim of "less talk, more action". With this in mind, we are showcasing innovative solutions, policies, best practice projects, examples of cooperation and role models from different countries, cities, regions and sectors that are dealing with pollution and championing a future of renewable energy. There are plenty of examples in various locations on the planet, which prove that a sustainable path is an economically profitable course of action. Therefore a greener finance sector can significantly contribute to the decarbonising of our economy and establish sustainability on all levels. The outcome of the R20 AWS 2018 identified climate communication as a key force to mobilizing and supporting climate action. How can new groups be encouraged to initiate climate awareness? We will hold discussions with media representatives, communication experts, scientists and well-known protagonists of climate action on how strategies and tools for successful climate communication should be handled. The elections to the European Parliament will be crucial for the fight against climate change and pollution. How can Europe become a forerunner in fulfilling the Paris Agreement on climate change, thereby acting as a role model for improving the environment and human health? Further steps will be necessary to raise ambition at the UN Climate Change Summit in September 2019. We need to team up in the spirit of multilevel cooperation and vertical integration between all levels of government to mainstream developments for climate action, better health and more sustainability – but how can we scale up to implement more projects and mobilize green investments? 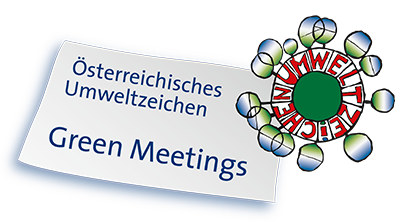 Showcasing success stories is a central theme of the R20 Austrian World Summit. Selected best practice projects, solutions and initiatives will be presented, which have the potential of being scaled up to global level, thereby having a significant impact on the reduction of greenhouse gas emissions. The transfer of technology and knowledge is one key element for speeding up the green transformation. The individual cases provide valuable lessons on the success factors, as well as on the challenges we have to be aware of. Raising awareness for a healthy environment and reaching out to as many people as possible is of major importance to making clear: climate change affects us all. Based on current trends, developments and research results the aim is to demonstrate best practices and attempt to solve some challenges in the current climate debate by addressing relevant issues, including framing, storytelling, narration or communication instruments leading to inspiration and catalysing mobilisation.